The Bottesford Friendly Society was a local social support organisation founded in the 1740s and lasting until the 1970s, making it one of the oldest and longest-lasting such organisations in the country. 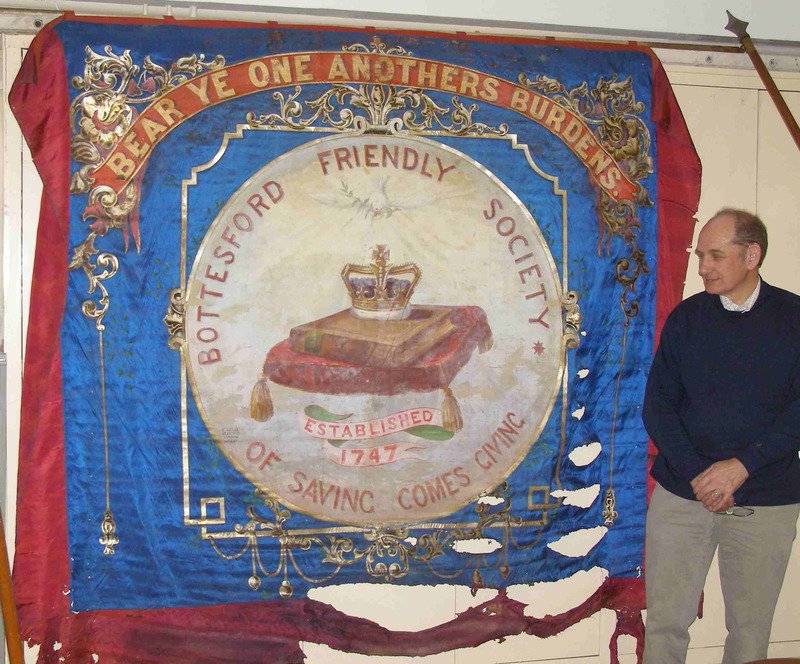 The Bottesford Heritage Archive has taken on custody of a group of ledgers and rule books of the society, and also its 19th Century marching banner. They were passed to the former Bottesford Living History Project by local historian Mike Saunders, who had rescued and looked after them after they had been discarded.